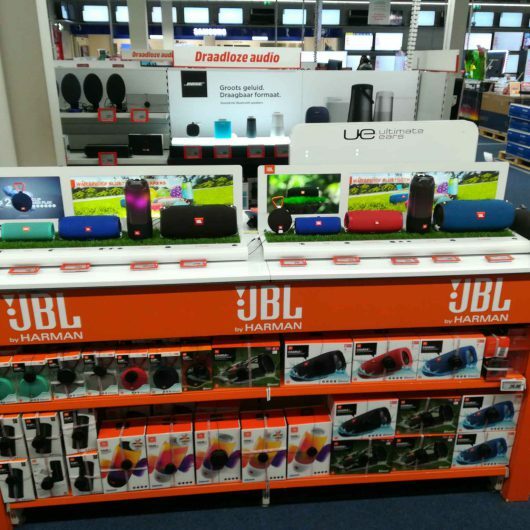 JBL asked Retail Service Partner to help guarantee the compliance of their displays in Media Markt branches. The goal of this commission was to inform the client in real time, while also taking account of the interests of the store. The result is that JBL visits the right branches within a short period of time, and can subsequently discuss the plan of action together to ensure compliance. We have also been able to add value for the branches by seeking collaboration and playing an assisting role.